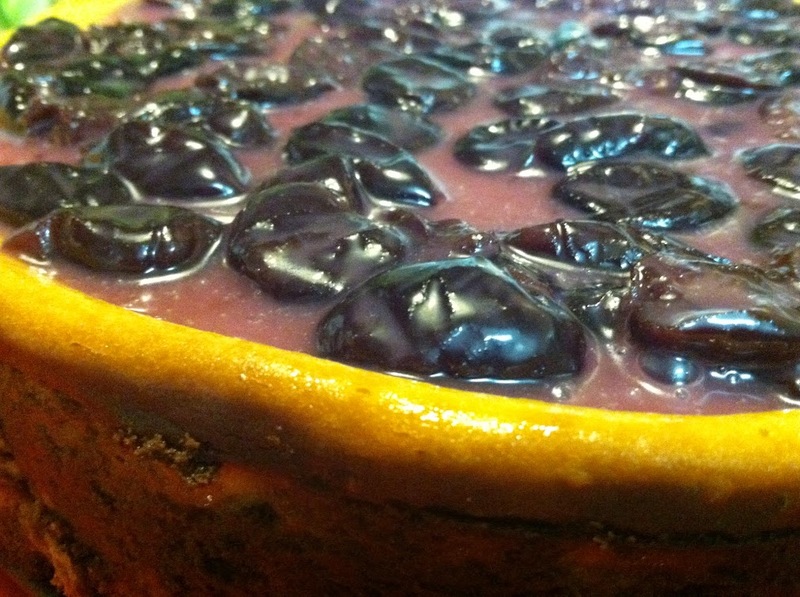 Sweet kitchen magic in the form of homemade cheesecake topped with cherry sauce. Photo by Grey Catsidhe, 2014. Each year for my husband’s birthday, I make him a New York style cheesecake. He adores it, and each year, it gets better and better. It’s quite a time-consuming dessert to make, which is why it’s a rare treat and one of my gifts to him. This year was especially demanding because we don’t have a working mixer, and cream cheese can be stiff to stir, even after sitting out for a bit. Needless to say, I put a lot of love into his birthday cake each year. As I made the cake, I thought about this – how much effort and love go into it. 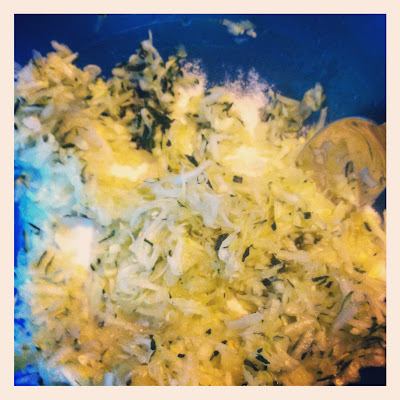 I realized that this is kitchen magic – pure and simple! Each sunwise stir adds more intention, especially when you’re focused on making something that will give joy to the recipient. Our daughter did some of her own kitchen magic, too – she enjoys stirring lately, so she gave it a go herself while I told her to think about daddy. For the finishing touch, I made cherry sauce from scratch using locally grown fruit I bought at the farmers’ market and froze with my husband’s birthday in mind. No artificial coloring for us! Although the cheesecake gets better each year because of my growing experience, I feel that part of this year’s success was due to my increased magical focus as I worked on finishing it. To some, that may sound too woo and simple, but sometimes that’s how magic really is! 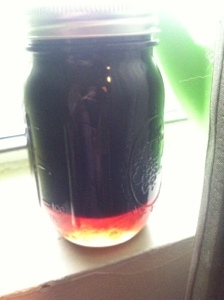 My first jar of elderberry syrup. Photo by Grey Catsidhe, 2014. *It is not meant to replace stronger medicines should the need arise. Although it’s hot today in the North Country, the nights keep feeling cooler and I’ve even noticed some color on the trees. Children are preparing to go back to school and pumpkins are ripening on the vine. The wheel of the year is turning, folks. Take a moment and feel it! While you’re doing that, don’t let summer slide out of your grasp just yet! Enjoy the last few weeks of summer with some kitchen magic using local ingredients. 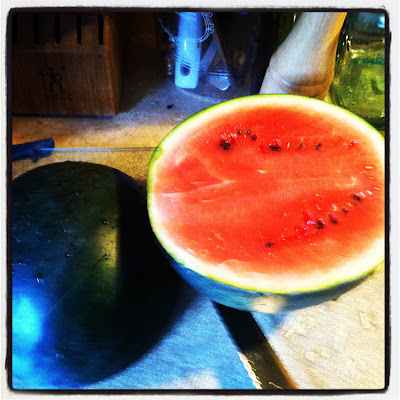 I picked up a watermelon from a local organic farm to make one of my favorite things – watermelon juice! I highly doubt I’m the first one to think of this. Plenty of people have been juicing longer than me! I first decided to juice watermelon after a party late July. We had a ton left over, and I have been experimenting with the juicer I purchased several months ago. That purchase was not in vain since I’ve had so much fun playing with food using it! Watermelon seemed like a perfect candidate since it’s already deliciously juicy and, being made mostly of water, would produce little waste*. 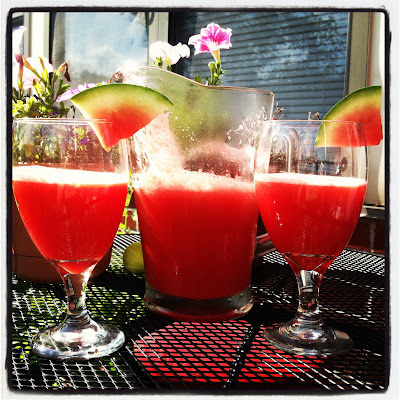 This fruity summer potion is perfect for potlucks and sun worshiping in the pool. It’s also a fun virgin drink for people who can’t or choose not to drink alcohol. Cut the watermelon in half. Thinly slice a small section off to save for garnishes if you desire (see top photo). Using the melon baller, scoop out the watermelon. Put the pink “meat” into a bowl. It’s easier to juice it all at once. Plug your juicer in and put it on the low setting. Since watermelons aren’t very tough, extra power isn’t necessary. Make sure you have another bowl or small pitcher below the spout to collect the juice. Start putting your watermelon into the juicer. You’ll probably have to stop to empty your bowl or smaller pitcher into the larger pitcher. Watermelons make a lot of juice! Stir with a wooden spoon. This is a great time to incorporate some magic. Pull in the Two Powers and visualize them going into the drink with the intent to refresh, to inspire, or to energize during the heat. Refrigerate when done. You’ll probably want to stir again when chilled. To enjoy the pink glow, serve in wine glasses. Garnish with small slices of watermelon if desired. If you really want, you could stir in some sugar but I haven’t done this and don’t recommend it. Enjoy the natural sweetness of the watermelon! So delightful and healthy as is! *Fret not about the waste! It can go right into the compost heap! You can also use the waste for other concoctions. If I’m making carrot juice, I do the carrots first then empty the juicer bin into a bowl, saving the finely shredded carrot for cake. Provided you don’t have big seeds in the mix, much of the waste can be turned into filler for soups, homemade fruit rolls, or even crackers using a dehydrator! 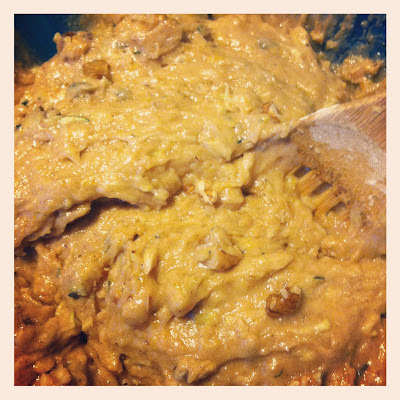 ** If you don’t have a juicer, you could use a blender or food processor – but it will be thicker. A juicer separates the liquids from the solids. You will also have to take the seeds into account if you do not have a juicer. Either pick them out by hand or find a seedless variety. 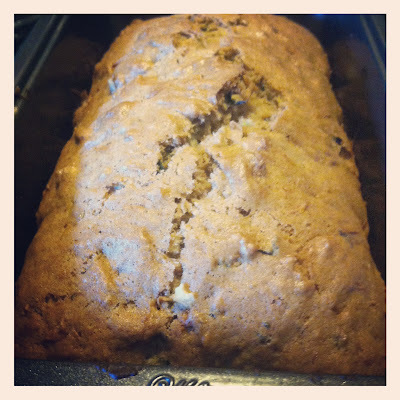 Fresh zucchini bread – one of my most favorite baked goods in the world. Full of love and harvest energy! What are you doing in the kitchen? Not all Pagans practice magic* similarly. There are many interpretations as to what magic is. Some have very strict codes about what is and isn’t acceptable. Some are very formal and others less so in their practice. 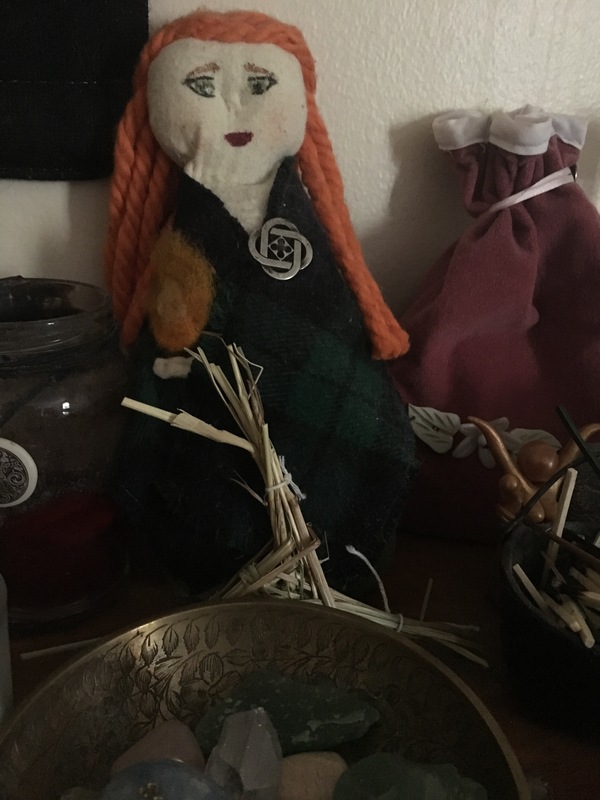 In my personal practice, my main magical workings tend to be theurgical, meaning that I do rituals with the intent of working with my spirit allies towards a goal. Often this is done through an exchange of sorts. In some cases, I meditate and trance with the purpose of communicating with a spirit about an issue I am having. That spirit may ask for something in exchange. I will then ritually present that desire along with prayers and chants of thanks and hope. Usually, there’s an understanding that more will come if my wish is granted. Sometimes my spirit allies laugh at me and explain that we can’t always get what we want. I’ve found that one has to be very careful what one wishes for and how our hopes and dreams are put into words. In my experience, spirits, including the Gods, aren’t always able to bring about desired change. This is reflected in my limited work as, sometimes, a spirit ally expresses that he/she/it can merely try to put some extra power towards a goal while not guaranteeing the future. Sometimes we have to remember that not all things can be and the whole universe doesn’t revolve around us. I usually stick to asking for general healing, inspiration, good harvests, safety, and protection. I try not to be very greedy. I try to accept limits and mortality. I always work hard at saying “thank you” for the blessings I have. I strive to make and maintain relationships with my spirit allies as they are in the Otherworld and more powerful at shaping what is yet to be. I do direct energy and intent, but I believe my allies are stronger and, with them, my work can be strengthened. I evoke them, thank them, toast them, dine them, and we work together. Some beings, like my caring ancestors or animal guides, are very interested in my well-being. Some Gods are very loving to their followers. I’ve found that Brighid, as a Goddess of the hearth, artisans, and women, is very sensitive to her followers and their tribes. She is very linked to human society and has a real kindness to her spirit. Other deities are not as concerned. They can be very aloof or have other interests – a desire for offerings, energy, attention… They don’t always listen or act which is why I think it’s best to meditate on a goal and/or divine whether or not the spirit is willing to even lend you support. It’s been important for me to get to know my allies and it’s an ever-evolving thing. Sometimes I do kitchen and folk magic which is very informal. 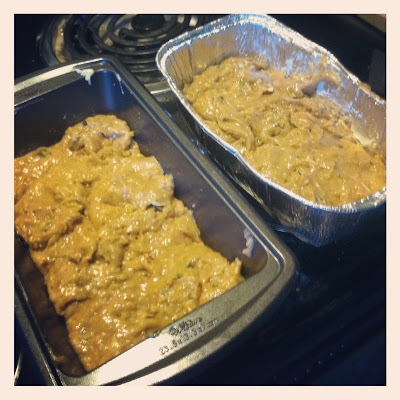 I put my love into the food I make to nourish my family and friends. I light candles and pray. I look to the sky and ask for rain. I use herbs for very practical things such as energizing teas, relaxing baths, soothing bed pillows, and calming balms. Candle magic is a favorite of mine. It’s very easy for me to put my intent into a candle that I imbue with symbols and oils then visualize my intentions going where they need to. Occasionally, I use herbal tisanes, wine, or ointments for meditation or trance. Art is part of my magical workings. Sachets to hold herbs, dolls to house spirits or represent desires, twine to hold drying herbs, or cloaks to envelop you while you meditate. I say prayers and chant when I create such items. Tools are ritually consecrated in the name of Fire, Well, and Tree. I put my love into them. Although a majority of the magic I do is for personal gains (inspiration, protection of the home, banishing obnoxious people from my life) or general (rain during drought, healing for a disaster-struck area), I occasionally do magic for a friend or family member. I always insist that it not be a crutch – work must be done in the physical realm as well. You know… the classic example of filling out a job application and updating one’s resume in addition to a spell to find work. Some argue that magic is all in the head. Some of it definitely is – I don’t know how much. Sometimes it’s meant to be in the head! I do know that I’ve had things happen after doing spells that seem more than coincidence. Sometimes it takes time or repetition… Other times you have to know when to accept what is. I don’t over rely on magic – I’m more content to be thankful for what comes naturally and learn how to deal with what I cannot control. But in a world where I’m mostly powerless, as are most people, there’s nothing wrong with trying to exert a little force in a certain direction. I don’t pretend to do things I cannot do. I respect the laws of Nature as a good Nature worshiper must, but I’m also open-minded about what is unknown. Magic is part of Druidism. Some of us may do it or think about it differently, but it’s there. It’s not 100% what Druidism is about – but it’s there and is part of its beauty. *I do not differentiate stage and religious magic with spelling. The English major in me dies a little every time I see magik, majik, etc… When it comes to language, I’m very much a descriptivist… but damn, those spellings just annoy me. Druid on the Run: Electro-what?! Now that I’m getting more seriously into exercising and attempting to make it more of a routine, I’m thinking more about all those sports drinks people consume. I always knew athletes drank them because, well, they are the target audience in advertisements! But why do they drink them? I gradually came to learn it had something to do with electrolytes. Ok…So…what are they? I simply had to know. Now that I’m running, I want to make sure I understand so I can stay healthy! If you’re like me, that video may help you visualize what electrolytes are chemically…but what do they do and why does our body need things that transmit electricity? According to Discovery Fit and Health, electrolytes “are what your cells (especially nerve, heart, muscle) use to maintain voltages across their cell membranes and to carry electrical impulses (nerve impulses, muscle contractions) across themselves and to other cells.” To me, that’s super interesting. To think that we have all these little electrical currents running through us! That right there is magic pure and simple. But when we sweat, we lose the electrolytes. When exercising, we need to help our body replenish! That’s where the drinks come in. Because I’m 1) poor for the rest of the summer and 2) interested in natural health, I decided to look into making my own electrolyte replenishing drinks. No artificial dyes for me, thank you very much! It turns out that I’m not alone in this endeavor. There are a variety of websites out there with DIY recipes. Three things they all have in common are water, salt, and citrus. Many add sugar of some sort (especially stevia). Fitness can mean more excuses for kitchen magic fun! I have started to approach DIY sports drinks as I would any homemade remedy – kitchen magic! So grab your kitchen knife and let’s make a potion! 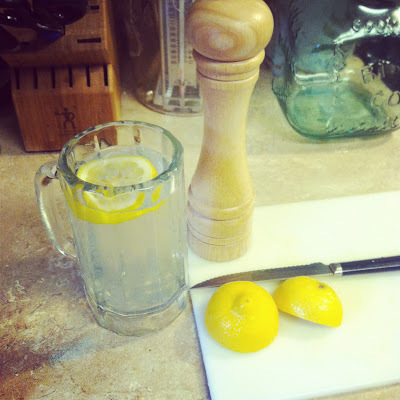 My basic drink includes water, a bit of salt (most recipes recommend at least a teaspoon), and a citrus fruit. Today I used freshly squeezed lemon, but really any citrus fruit would work. A lot of athletes recommend orange. I have not been adding sugar because I don’t think my drink needs any and, really, I feel I get enough of that. My husband, who has pickier taste-buds, said he didn’t notice the salt and enjoyed the drink as is! As you make your concoction, you may want to chant towards your success and fitness, or envision your healthy future and put that intention into your drink. You can add your drink to your bottle while you go, or chill it in the refrigerator for your victorious return! Cheers to a happier, healthier Druid!